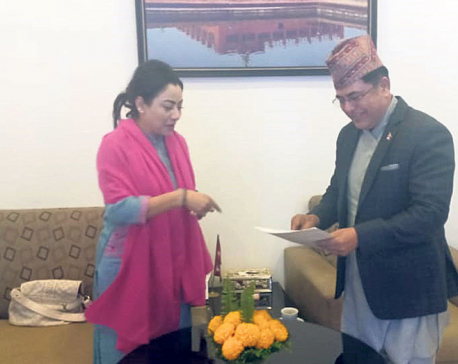 KATHMANDU, March 16: Nepal received a total of Rs 515.55 billion in the first seven months of the current Fiscal Year 2018/19. 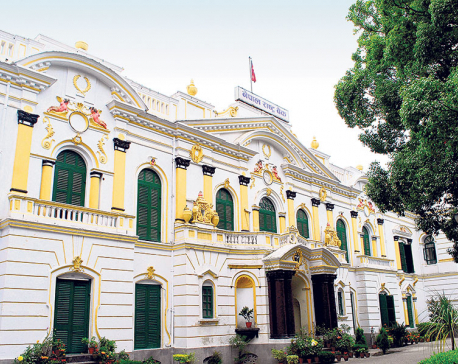 According to the 'Current Macroeconomic and Financial Situation of Nepal (Based on Seven Months' Data of 2018/19) released by the Nepal Rastra Bank (NRB) on Friday, the remittances inflow rose 28.5 percent in the review period to Rs 515.55 billion compared to an increase of 1.7 percent in the same period of the previous year. In US dollar terms, remittances increased 16 percent in the review period compared to 6.4 percent in the corresponding period of the previous year, according to the NRB's periodic report. Though the number of workers acquiring work permit to go for employment abroad has gone down significantly in recent months, the total amount of transfer that overseas Nepali communities have made has been rising. The number of Nepali workers migrating for foreign employment decreased 39.2 percent in the review period, according to the NRB. It had decreased 4.9 percent in the same period of the previous year. Experts say that stronger dollar, growing use of formal channel for remittances in countries like South Korea and Japan and crackdown on informal channels for money transfer have led to the surge in the remittance growth. While the remittance inflow has been rising, the country's external sector performance continues to deteriorate, according to the NRB report. Total trade deficit further widened 27.1 percent to Rs 780.19 billion in seven months of 2018/19. The export-import ratio declined to 6.4 percent in the review period from 7.2 percent in the corresponding period of the previous year. The current account registered a deficit of Rs 166.24 billion in the review period. Such deficit was Rs 142.09 billion in the same period of the previous year. Similarly, the foreign direct investment has also dropped to Rs 5.15 billion in the first seven months of the current fiscal year from Rs 14.34 billion in the same period of the last fiscal year. The gross foreign exchange reserves (forex) of the country also fell to Rs 1,078.36 billion as at mid-February 2019 from Rs 1,102.59 billion as at mid-July 2018. In US dollar terms, the gross forex remained $9.49 billion as at mid-February 2019 from $10.08 billion as at mid-July 2018.